In the aftermath of the terrorist attacks on 9/11, much of Lower Manhattan was blanketed in a thick layer of debris and dust; the bitter and toxic reminders of the events that had recently shaken New York and global history. After the government mistakenly guaranteed its residents and workers that the air was safe, it would not be long before thousands of people exposed to the World Trade Center toxic dust began experiencing respiratory and digestive issues that, whether they knew it at the time or not, were linked to their exposure to the looming toxins. OSA that is shown to be medically associated with another certified WTC-related health condition, including, or other than, an aero-digestive condition. 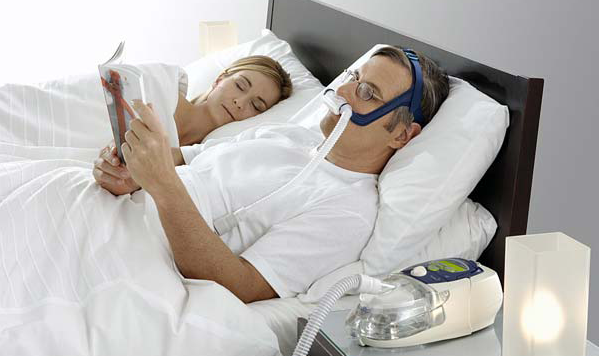 As a result of the condition, many of those who suffer from OSA are required to use CPAP machines in order to sleep at night. The most common mode of combatting the effects of OSA, CPAPs blow pressurized air through the user’s airway at a constant pressure to keep the airway from collapsing. However, CPAP machines can be extremely cumbersome and difficult to use. Users often report that their masks make them feel claustrophobic and that the constant air pressure being forced through their airways can be distressing. The necessity of using the CPAP machine can be disheartening in itself as it represents a full realization that users will be tethered to a loud, cumbersome, and uncomfortable machine for the rest of their lives. Fortunately, a few alternatives to CPAP machines exist that alleviate some of the greatest issues that users may have. Currently, dental appliances have become more popular with OSA sufferers. These appliances function as mouth guards that keep the lower jaw in such a position that keeps the airway open. Unfortunately, however, these appliances are generally not covered by the World Trade Center Health Program because they are generally used to treat OSA caused by non-WTC-related conditions. Even so, exceptions may be made on a case-by-case basis where evidence exists that a dental appliance is a viable treatment for a member’s WTC-related OSA. In these cases, a dental appliance may be a better option for some members, as it provides a less uncomfortable and distressing alternative to the CPAP machine. While dental appliances or other alternatives may not be right for everyone, it is nonetheless vital that sufferers take their OSA seriously and treat it appropriately. The largest issue amongst sufferers is non-compliance with their prescribed treatments, which can indeed prove deadly. While it may be difficult for a person to adjust their lifestyle, it is certainly better than the very possible alternative. Importantly, the Victim Compensation Fund (“VCF”) has begun recognizing the difficulties faced by CPAP users and the very few alternatives they have to treat their OSA. While this is only a recent development, and nothing is ever a guarantee, Barasch & McGarry has already had great success in assisting users receive greater compensation from the VCF for the burden of treating their OSA. The process for doing so is very swift for the client: Simply provide us with easily obtainable documentation and we can submit it to the VCF. The VCF will recognize the intent of the documentation, which is to show not only the severity of your condition, but more importantly, the challenge you face in living day-to-day with treatment itself of your condition. We want to ensure that we take every step necessary to make sure you receive the compensation you so rightly deserve for your WTC-related conditions. We will do whatever it takes to help you along the way. If you have questions about your eligibility for benefits from the WTC Health Program or the Victim Compensation Fund, contact our experienced attorneys who have represented 9/11 responders and survivors from the outset. Call Barasch & McGarry at 888.351.9421 or contact our office online.